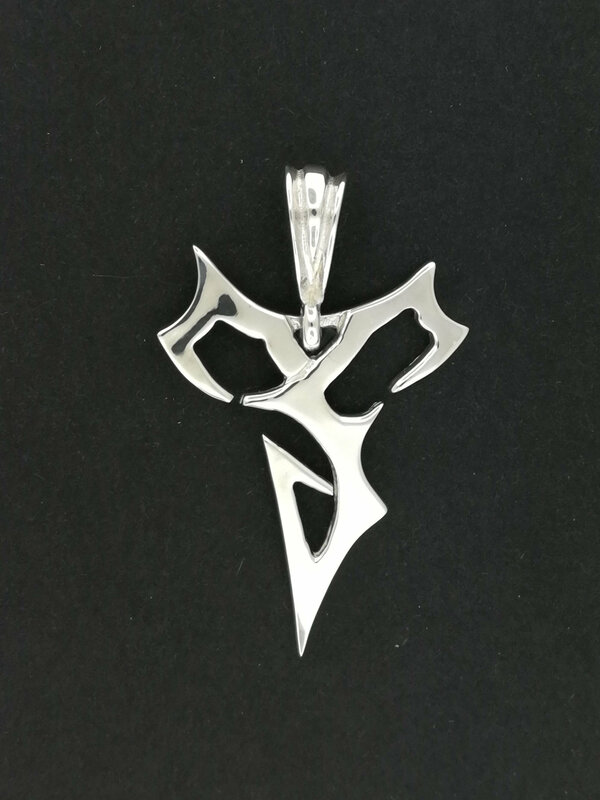 This is a handmade 0.925 sterling silver pendant based on the one worn by Tidus from Final Fantasy X. The pendant is 2 inches long plus the bail, 1.25 inches wide and 1.5mm thick. 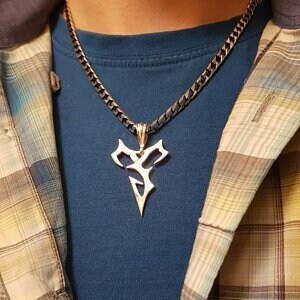 This design was created around a custom request for a Tidus pendant for a cosplayer. This is a fan made piece for those like myself who want to wear something of quality! Initially, I was a bit worried about buying jewelry online, but Stephanie assuaged all my fears; communication was awesome, to say the least. The necklace itself is wonderful and just as pictured--a must-have for every X fan :-) Definitely buying from her again! Hi, sorry for late. I'm so glad to have it, I really like it. You made a very good work. Nobody else have the same one in France :D It's original a pendant like this one. Thanks again, Kévin ( Vally's son ).